Ballet Basics for dancers ages 9 to teens. (RAD equivalent - Grades 1 & 2 in Dance) This class meets twice weekly. Monday's class focuses on basic skills while Tuesday's class works through the syllabus choreography. With Academie de Ballet Classique’s BALLET FUNDAMENTALS – Beginning Ballet, you will love the feeling of wholesomeness in all the classes. Our studio values for all of our students are: *Respect *Inclusion *Creativity *Relationships *Memories Your child learns more with this series of ballet and theater presentation classes. At exam time, you’ll be wowed at how well they perform. In June, you join other amazed parents, as their class bounds onto the Tower Theater stage in ABC’s annual production. Ms. Valerie and her talented staff of professionals, guide dancers to reach each term’s set goals and outcomes. By the end of the school year, you see a marked improvement in their abilities and better assessment scores! DRESS CODE: Same as your RAD Class. All items available for purchase through ABC Boutique. Please call in advance to schedule a fitting appointment. 541-382-4055 WITHDRAWALS. 30-day written notice required. No refunds for missed classes. Makeups happily encouraged. TERMS & CONDITIONS APPLY. For full details please visit: https://abcbend.com/refund-policies-procedures/ Completion of purchase implies consent of ABCBend’s terms and conditions. 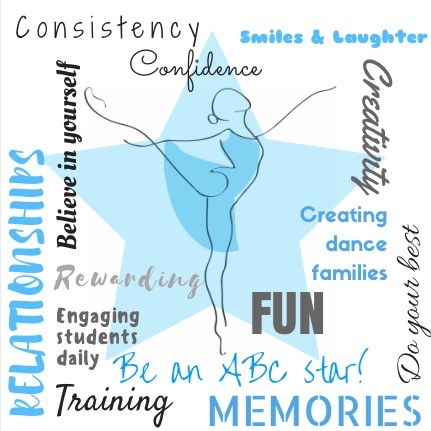 For the parent wanting their child to achieve something special, PRE-PRIMARY IN DANCE covers the choreography of the Royal Academy of Dance (RAD) working towards the RAD Assessment exam April 2019. Clever dances and exercises frame the content of our storytelling classes that always generate plenty of smiles. Children love being challenged – and watching them master this level of ballet is such a joy for parents and grandparents. You’ll marvel at their poise and accomplishments. DRESS CODE: All items available for purchase through ABC Boutique. Please call in advance to schedule a fitting appointment. 541-382-4055 GIRLS Hair secured into a classical ballet bun or ponytail. Short hair may be held off the face with a headband. RAD regulation leotard in Lilac with matching regulation skirt, pink ballet socks pink full-soled leather ballet shoes (no satin slippers, or leg warmers please) BOYS: Dark blue dance shorts, White short-sleeved t-shirt, or boys white short-sleeved leotard, white socks, and white full-soled leather ballet shoes. Upper level ballet with focus on clean technique and strong performing skills. Please see calendar for Upper level class schedule. All pointe students must attend a minimum of 3 ballet classes per week for safe dancing. This class package includes 4.5 hours of instruction. Other dance style classes are encouraged and will be discounted 20%. Please contact our office to register for any extra classes. MULTIPLE CLASSES: We love for our students to engage in multiple dance styles, such as lyrical, contemporary, fitness classes and tap. After registering for your ballet class package, please contact our office for multiple registration instructions and to receive your 20% discount. We apologize for the addition registration step. DRESS CODE: All items available for purchase through ABC Boutique. Please call in advance to schedule a fitting appointment. 541-382-4055 LADIES: Hair must be pulled back into classical ballet bun. Pink tights, pink demi-pointe and ballet shoes. Leotard of any color. Leg warmers allowed with approval, such as injury. No baggy clothing allowed. MEN: Leggings and leotard of any color. Dance belt. Leather ballet shoes preferred as they help develop the intrinsic muscles of the feet. WITHDRAWALS. 30-day written notice required. No refunds for missed classes. Makeups happily encouraged. TERMS & CONDITIONS APPLY. For full details please visit: https://abcbend.com/refund-policies-procedures/ Completion of purchase implies consent of ABCBend’s terms and conditions. SILVER SWANS ADULT BALLET is an open level class for adult learners and dancers. Muscles get a thorough warm-up, ready to build muscle strength and flexibility using ballet form and technique. Let your passion for dance show today! Developed by the Royal Academy of Dance, this program is based on research into dance practice for older learners and classes can only be taught by Silver Swans® licensed teachers. Drop ins are encouraged! Dancers may sign up for monthly tuition, drop ins, or a dance card (1-4 drop ins). Log in to account for registration options. Contact us at 541-382-4055 for assistance with class sign up or drop ins. Parking Warning: Parking lot is RESERVED parking only, on street parking available. WITHDRAWALS. 30-day written notice required. No refunds for missed classes. Makeups happily encouraged. TERMS & CONDITIONS APPLY. For full details please visit: https://abcbend.com/refund-policies-procedures/ Completion of purchase implies consent of ABCBend’s terms and conditions. DRESS CODE: All items available for purchase through ABC Boutique. Please call in advance to schedule a fitting appointment. 541-382-4055 GIRLS Hair secured into a classical ballet bun or ponytail. Short hair may be held off the face with a headband. RAD regulation leotard in pink Legs: pink ballet socks Feet: pink Bloch brand full-soled leather ballet shoes black circular character skirt and black character shoes BOYS: Dark blue dance shorts, white short-sleeved t-shirt, or boys white short-sleeved leotard, white socks, and white full-soled leather Bloch brand ballet shoes. Royal Academy of Dance (RAD) program for children ages 6 - 9. For the parent seeking quality learning experience for their child. PRIMARY IN DANCE an RAD Assessment Preparation Program takes dancers on a journey of imaginative and fanciful stories, ballet manners, inclusiveness and skill building. Children work towards learning the fundamentals of ballet for a safe transition to successive levels of dance. This and all of our programs follow the safe teaching practices of the RAD and the education requirements of the UK. What does all of that mean? It means our excellent teaching staff guide students on a dance journey with skills that will last a lifetime. Students learn to work together, be responsible for oneself, cheer others to excel while working on their own achievements. Children love being part of something beautiful and fun. Ms Valerie enjoys 100% exam success for her entire RAD career. For more information please visit the RAD's youtube channel: https://www.youtube.com/channel/UCA3wapo_nuqsh1tqLUJZ1rA Assessments organized by the RAD are held in our studio in early Spring. Extra expense for assessments. DRESS CODE: All items available for purchase through ABC Boutique. Please call in advance to schedule a fitting appointment. 541-382-4055 GIRLS Hair secured into a classical ballet bun or ponytail. Short hair may be held off the face with a headband. RAD regulation leotard in blue with matching skirt Legs: pink ballet socks Feet: pink Bloch brand full-soled leather ballet shoes BOYS: Dark blue dance shorts, white short-sleeved t-shirt, or boys white short-sleeved leotard, white socks, and white full-soled leather Bloch brand ballet shoes Terms and conditions apply. Completion of registration implies consent. For complete details please see web page: https://abcbend.com/refund-policies-procedures/ PARKING WARNING: Our parking lot is reserved parking only. Please find on street parking to avoid a costly and inconvenient towing charge. Cars will be towed! Do allow for enough time to find your parking spot and to arrive before the start of class. This fantasy-themed ballet class is designed to cultivate your child's creativity, individuality, and artistry while discovering ballet terminology and the ballet culture. Observations for parents and families held first lesson of the month. Your young dancer will beam with joy dancing with their new friends. They'll join together listening and dancing to story dances. You'll watch her confidence build even after a couple of lessons so much that they'll never want to stop. Learning to skip and leap is such fun for all ages -- and they'll be leaping after they leave for home. He'll show everyone how high he can jump and leap, giggling with joy as he flies over the cat. Fantasy Ballet brings to children's minds all the princesses and princes they've watched on TV. Introduction to ballet steps and terminology develops language skills as they practice saying the French names to ballet steps. DRESS CODE: All items available for purchase through ABC Boutique. Please call in advance to schedule a fitting appointment. 541-382-4055 GIRLS Hair secured into a classical ballet bun or ponytail. Short hair may be held off the face with a headband. Short-sleeved skirted ballet dress in yellow Legs: pink ballet socks Feet: pink Bloch brand full-soled leather ballet shoes BOYS: Dark blue dance shorts, white short-sleeved t-shirt, or boys white short-sleeved leotard, white socks, and white full-soled leather Bloch brand ballet shoes PARKING WARNING: Our parking lot is reserved parking only. Please find on street parking to avoid a costly and inconvenient towing charge. Cars will be towed! Do allow for enough time to find your parking spot and to arrive before the start of class. Class activities build upon our children’s creative minds. They conjure up fanciful stories that we weave into class learning actives. BORN TO DANCE, Toddlers Pre-Ballet brings to children’s minds all the princesses and princes they’ve watched on TV. Pre-ballet introduces ballet steps and terminology develops language skills as they practice saying the French names to ballet steps. Children join new and familiar dance friends at Academie de Ballet Classique's BORN TO DANCE, Toddlers Pre-Ballet. DRESS CODE: All items available for purchase through ABC Boutique. Please call in advance to schedule a fitting appointment. 541-382-4055 GIRLS Hair secured into a classical ballet bun or ponytail. Short hair may be held off the face with a headband. Short-sleeved skirted ballet dress in pink Legs: pink ballet socks Feet: pink Bloch brand full-soled leather ballet shoes BOYS: Dark blue dance shorts, white short-sleeved t-shirt, or boys white short-sleeved leotard, white socks, and white full-soled leather Bloch brand ballet shoes For withdrawal and refund policies please see https://abcbend.com/refund-policies-procedures/ PARKING WARNING: Our parking lot is reserved parking only. Please find on street parking to avoid a costly and inconvenient towing charge. Cars will be towed! Do allow for enough time to find your parking spot and to arrive before the start of class. Academie de Ballet's Classique's Early Childhood Ballet Program enhances children's imagination with dance. This Mommy and Me format allows those children needing their parents to remain with them. Your preschooler will love this delightful start to ballet! Oodles of smiles as they learn, laugh and enjoy the magic of ballet! Boys and girls jump higher, becoming more fit with each session. DRESS CODE: All items available for purchase through ABC Boutique. Please call in advance to schedule a fitting appointment. 541-382-4055 GIRLS Hair secured into a classical ballet bun or ponytail. Short hair may be held off the face with a headband. Short-sleeved skirted ballet dress in pink Legs: pink ballet socks Feet: pink Bloch brand full-soled leather ballet shoes BOYS: Dark blue dance shorts, white short-sleeved t-shirt, or boys white short-sleeved leotard, white socks, and white full-soled leather Bloch brand ballet shoes No refunds on pre-worn clothing. Contemporary/Lyrical dancers who want to move up in the dance world should enroll in Contemporary/Lyrical Dance. You'll work multiple dance styles into amazing choreography. Each lesson builds from week to week, as dancers spin, leap with improved strength and skill. DRESS CODE: Items available for purchase through ABC Boutique. Please call in advance to schedule a fitting appointment. 541-382-4055 Leotard of any color or style, tights, ABC logo jazz shorts, shoes appropriate to dance style. Please no black rubber soles, as they mar our dance floor. “Footies” for barefooted dancing is acceptable. WITHDRAWALS. 30-day written notice required. No refunds for missed classes. Makeups happily encouraged. Completion of registration implies consent of Terms and Conditions. For complete details of our policies, please visit https://abcbend.com/refund-policies-procedures/ TERMS & CONDITIONS APPLY. For full details please visit: https://abcbend.com/refund-policies-procedures/ Completion of purchase implies consent of ABCBend’s terms and conditions. PARKING WARNING: Our parking lot is reserved parking only. Please find on-street parking to avoid costly and inconvenient towing of your car. Broaden and develop as a fully developed dancer. Include a jazz class into your dance schedule. Jazz 1 & Broadway Dance students will explode with excitement as they work the basics of Jazz dance and the choreography of Broadway shows. Who wouldn't want to dance to favorite shows such as Lion King, Annie and Frozen? Jazz Dancers enjoy learning dances with music so familiar, that they can sing it without a prompt. Ms Alesa's class keep dancers so engaged that they don't want to leave. Be sure to register before all the spots are taken. It is recommended to also be enrolled in a Ballet Fundamentals class to ensure a strong finish at school year’s end in June. DRESS CODE: Items available for purchase through ABC Boutique. Please call in advance to schedule a fitting appointment. 541-382-4055 Leotard of any color or style, tights, ABC logo jazz shorts, shoes appropriate to dance style. Please no black rubber soles, as they mar our dance floor. “Footies” for barefooted dancing is acceptable. WITHDRAWALS. 30-day written notice required. No refunds for missed classes. Makeups happily encouraged. Completion of registration implies consent of Terms and Conditions. For complete details of our policies, please visit https://abcbend.com/refund-policies-procedures/ TERMS & CONDITIONS APPLY. For full details please visit: https://abcbend.com/refund-policies-procedures/ Completion of purchase implies consent of ABCBend’s terms and conditions. PARKING WARNING: Our parking lot is reserved parking only. On street parking is available. Avoid a costly and inconvenient towing. Any dancer wishing to expand their repertory and dance vocabulary should take this exciting dance class. This class is suited for those having taking Lyrical I and/or Jazz I. Or approval of instructor. The broad range of Lyrical and Contemporary Dance styles takes dancers from yesterday’s classical styles to today’s contemporary dance forms. To fully enjoy Ms. Alesa’s Lyrical and Contemporary dance class, we recommend dancer have some prior dance experience. DRESS CODE: Items available for purchase through ABC Boutique. Please call in advance to schedule a fitting appointment. 541-382-4055 Leotard of any color or style, tights, ABC logo jazz shorts, shoes appropriate to dance style. Please no black rubber soles, as they mar our dance floor. “Footies” for barefooted dancing is acceptable. This class is by invitation only. Please contact the studio for more information. Your child will leap out of the car and race into the studio, so eager to show off all the fun leaps and spins they did the week before in their PLAYDANCE class. Working with new dance buddies, they’ll dance with fingers sparkling, then reach high then low to explode like a water spout. The variety of props keeps the children engaged and enthralled as they dance as ballerinas, hiphoppers and broadway stars. PLAYDANCE does so much more for your child as the little dancers discover spatial awareness, working and sharing with partners -- all done with glee and the joy of dance. DRESS CODE: Items available for purchase through ABC Boutique. Please call in advance to schedule a fitting appointment. 541-382-4055 GIRLS: Leotard of any color or style, ballet socks or tights, and pink leather ballet shoes. Hair in classical ballet bun or ponytail. Short hair may be held off the face with a head band. BOYS: Suggested dancewear: Navy cotton shorts, white short-sleeved t-shirt, white ballet socks, and white leather ballet shoes. WITHDRAWALS. 30-day written notice required. No refunds for missed classes. Makeups happily encouraged. TERMS & CONDITIONS APPLY. For full details please visit: https://abcbend.com/refund-policies-procedures/ Completion of purchase implies consent of ABCBend’s terms and conditions. PARKING WARNING: Our lot is reserved parking only. Please find on street parking to avoid costly towing. A fun beginning ballet class for children ages 4-6. Your child will learn the traditional French terminology of ballet offered within imaginative settings. This class uses the Vaganova teaching methodology. Ballet encourages children to learn, follow directions, accept corrections. DRESS CODE: All items available for purchase through ABC Boutique. Please call in advance to schedule a fitting appointment. 541-382-4055 GIRLS Hair secured into a classical ballet bun or ponytail. Short hair may be held off the face with a headband. Short-sleeved skirted ballet dress in white Legs: pink ballet socks Feet: pink Bloch brand full-soled leather ballet shoes BOYS: Dark blue dance shorts, white short-sleeved t-shirt, or boys white short-sleeved leotard, white socks, and white full-soled leather Bloch brand ballet shoes Terms & Conditions: 30-day written notice for withdrawals. No refunds or adjustments for missed classes. For complete details please visit: https://abcbend.com/refund-policies-procedures/ Completing registration and payment implies consent of ABC’s terms and conditions. PARKING WARNING: Our lot is reserved parking only. Please locate on-street parking to avoid a costly and expensive towing of your vehicle. This class meets Mondays 4:10 - 5:30pm and Tuesdays & Thursdays 5:00-6:00pm With Academie de Ballet Classique’s BALLET FUN-DAMENTALS LEVEL 2 with RAD Grade 4 in Dance course, you will love the feeling of wholesomeness in al the classes. Your child loves the sense of inclusion from the moment they enter the studio. Tired but exhilarated when when finishing ballet class, they leave with flushed and smiling faces. This program gives students time focus on specific skill sets that enhances their performance on stage. Coupled with our Royal Academy of Dance preparation courses, your child receives a rounded dance education. Your child learns more with this series of ballet and theater presentation classes. At exam time, you'll be wowed at how well they perform. In June, you join other amazed parents, as their class bounds onto the Tower Theater stage in ABC’s annual production. Ballet Fundamentals Level 2 with RAD Grade 4 and 5 in Dance follows the standards as set by the Royal Academy of Dance, London UK. DRESS CODE: All items available for purchase through ABC Boutique. Please call in advance to schedule a fitting appointment. 541-382-4055 GIRLS Hair secured into a classical ballet bun or ponytail. Short hair may be held off the face with a headband. RAD regulation leotard in teal with matching belt Legs: pink ballet socks Feet: pink Bloch brand full-soled leather ballet shoes black circular character skirt and black character shoes BOYS: Dark blue dance shorts, white short-sleeved t-shirt, or boys white short-sleeved leotard, white socks, and white full-soled leather Bloch brand ballet shoes. This upper level ballet class follows the safe teaching practices of the Royal Academy of Dance (RAD). By following those guidelines, students develop as solid dancers, confirmed with their RAD assessments held each Spring. Tuesday and Thursday's classes focus on the choreography necessary for a successful assessment session. Each spring following exams, dancers focus on our annual production. Always an original story ballet, students of all ages and abilities dance together to the delight of family and friends. We love for our students to engage in multiple dance styles, such as lyrical, contemporary, fitness classes and tap. After registering for your ballet class package, please contact our office for multiple registration instructions and to receive your 20% discount. We apologize for the addition registration step. DRESS CODE: All items available for purchase through ABC Boutique. Please call in advance to schedule a fitting appointment. 541-382-4055 GIRLS Hair secured into a classical ballet bun or ponytail. Short hair may be held off the face with a headband. RAD regulation leotard in red with matching belt Legs: pink ballet socks Feet: pink Bloch brand full-soled leather ballet shoes black circular character skirt and black character shoes BOYS: Dark blue dance shorts, white short-sleeved t-shirt, or boys white short-sleeved leotard, white socks, and white full-soled leather Bloch brand ballet shoes. PARKING WARNING: Our parking lot is reserved parking only. Please avoid a costly and inconvenient towing. Allow for time to locate on-street parking and a short walk to our studio. Fitness course to enhance ballet technique with proper muscle development and muscle memory. All forms of dance benefit from this carefully designed and trademarked program. Find your core strength for better pirouettes, enjoy more control in allegros for clean and safer dancing. Minimize potential for injury or shorten recovery period for injury. Please bring fitness ball (large enough to sit with knees level with hips) All other equipment provided (small balls, Therabands, etc) Certified PBT teacher, Valerie Holgers, takes all dancers through their exercises, adapting exercises as the class progresses. Guest teachers are invited throughout the year to broaden the experience for participants. Adults are very welcome! Tuition is deeply discounted, cannot be combined with any other discounts or offers. DRESS CODE: bare legs (pull convertible tights up to expose calves, or jazz/yoga pants, t-shirt, or leotard. Ladies, hair into low bun or pony tail. We spend quite a bit of time on the mat. WITHDRAWALS & MISSED CLASSES: There will be no tuition adjustment for missed classes. However, makeups are gladly encouraged. Withdrawals require a 30-day written notice either to: * dance@abcbend.com or * Academie de Ballet Classique, 162 NW Greenwood Avenue, Bend. OR 97703 PARKING WARNING: Our lot is reserved parking only. On-street parking is available. Please avoid a costly and inconvenient towing charge. Academie de Ballet Classique’s RAD VOCATIONAL INTERMEDIATE FOUNDATION - an RAD preparation course works towards mastery of the challenging choreography of the RAD’s Vocational set exercises and variations. Dancers work towards a goal of achieving a high level of skill and quality. What does all that mean? It means students work towards more than learning the steps, instead they acquire a mastery and artistry of the work to a level that progresses easily to the RAD Vocational Intermediate levels. With the ballet vocabulary learned in the lower graded levels, dancers increase their ballet knowledge to a high degree along with a more stylized approach. Some enchainements and all of the dances are performed as solos, building confidence with big smiles at the achievements made. Piano accompaniment to enrich the class experience allows for music to be the perfect tempo and pitch. Students' musicality deepens as they follow the musician's interpretation of each musical piece. ABC is the only studio in Central Oregon to use live music for regularly scheduled classes. For more information on the Royal Academy of Dance Program please visit Royal Academy of Dance - Achieve. As the only school in Central Oregon providing Royal Academy of Dance programs, we help students reach their personal best through careful instruction. Dress Code: Ladies: Navy camisole leotard with matching waist belt, pink tights, pink leather ballet shoes. Pointe shoes with ribbons. Hair must be pulled up into classical ballet bun. Males: Navy footless leggings, White short-sleeved leotard with dance belt. White ballet socks, white leather ballet shoes WITHDRAWALS. 30-day written notice required. No refunds for missed classes. Makeups happily encouraged. Completion of registration implies consent of Terms and Conditions. For complete details of our policies, please visit https://abcbend.com/refund-policies-procedures/ TERMS & CONDITIONS APPLY. For full details please visit: https://abcbend.com/refund-policies-procedures/ Completion of purchase implies consent of ABCBend’s terms and conditions. Academie de Ballet Classique’s RAD VOCATIONAL INTERMEDIATE - an RAD preparation course works towards mastery of the challenging choreography of the RAD’s Vocational set exercises and variations. Dancers work towards a goal of achieving a high level of skill and quality. What does all that mean? It means students work towards more than learning the steps, instead they acquire a mastery and artistry of the work to a level that progresses easily to the RAD Vocational Intermediate levels. With the ballet vocabulary learned in the lower graded levels, dancers increase their ballet knowledge to a high degree along with a more stylized approach. Some enchainements and all of the dances are performed as solos, building confidence with big smiles at the achievements made. Piano accompaniment to enrich the class experience allows for music to be the perfect tempo and pitch. Students' musicality deepens as they follow the musician's interpretation of each musical piece. ABC is the only studio in Central Oregon to use live music for regularly scheduled classes. For more information on the Royal Academy of Dance Program please visit Royal Academy of Dance - Achieve. As the only school in Central Oregon providing Royal Academy of Dance programs, we help students reach their personal best through careful instruction. Dress Code: Ladies: Intermediate: Black camisole leotard with matching waist belt Advanced: Plum camisole leotard, matching tutu or neo-classical skirt for variations, pink tights, pink leather ballet shoes. Pointe shoes with ribbons. Hair must be pulled up into classical ballet bun. Males: black footless leggings, White short-sleeved leotard with dance belt. White ballet socks, white leather ballet shoes WITHDRAWALS. 30-day written notice required. No refunds for missed classes. Makeups happily encouraged. Completion of registration implies consent of Terms and Conditions. For complete details of our policies, please visit https://abcbend.com/refund-policies-procedures/ TERMS & CONDITIONS APPLY. For full details please visit: https://abcbend.com/refund-policies-procedures/ Completion of purchase implies consent of ABCBend’s terms and conditions. Learn the basic of Ballet in this introduction class. Learn terminology and positions in a fun, engaging environment. Classes start Feb. 8 and are geared for dancers brand new to ballet. Add Tap class after this class for a complete dance experience. Your little ones will be tapping with joy and making rhythms with their feet in this class of tap basics. Learn the basics of Tap! This beginner class for ages 5-8 will be tapping their toes and learning the basic steps of tap. Class is designed for beginner tap dancer with little or no experience. Add Discover Dance right before this class and receive a discount for both classes. Contact us at 541-382-4055 for further information. A fun beginning ballet class for children ages 4-6. Your child will learn the traditional French terminology of ballet offered within imaginative settings. This class uses the Vaganova teaching methodology. Ballet encourages children to learn, follow directions, accept corrections. GIRLS Hair secured into a classical ballet bun or ponytail. Short hair may be held off the face with a headband. Short-sleeved skirted ballet dress in white Legs: pink ballet socks Feet: pink Bloch brand full-soled leather ballet shoes BOYS: Dark blue dance shorts, white short-sleeved t-shirt, or boys white short-sleeved leotard, white socks, and white full-soled leather Bloch brand ballet shoes Terms & Conditions: 30-day written notice for withdrawals. No refunds or adjustments for missed classes. For complete details please visit: https://abcbend.com/refund-policies-procedures/ Completing registration and payment implies consent of ABC’s terms and conditions. PARKING WARNING: Our lot is reserved parking only. Please locate on-street parking to avoid a costly and expensive towing of your vehicle. A special opportunity for children to take a Modern Dance master class with an Imperial Society of Teachers of Dance (ISTD) and Royal Academy of Dance (RAD) examiner. Mrs. Bacca brings her wealth of teacher training to Bend. This is a rare opportunity for Bend's young dancers to take a Modern Dance Master class usually offered only to advanced dancers. A special opportunity for children to take a Modern Dance master class with an Imperial Society of Teachers of Dance (ISTD) and Royal Academy of Dance (RAD) examiner. Mrs. Bacca brings her wealth of teacher training to Bend. This is a rare opportunity for Bend's young dancers to take a Master class usually offered only to advanced dancers. The Official Wizard of Oz registration. This registration is for the basic package. It does NOT include DVD, Cast T-Shirt, or cast photo (items are available separately). Please register for "Wizard of Oz - full package" if you would like the full package. Production fees are non-refundable. Any student currently registered in ABC may be in the show. Saturday rehearsals April - June 15. In studio full run through - June 17,18,19. Dress Rehearsal June 21. Shows June 22 & 23. Parent participation is required. Contact the studio at 541-382-4055 for full registration procedures. The Official Wizard of Oz registration for parents purchasing the Full Package and making two payments. First payment due at time of registration. Second payment of $97.50 will be on automatic payment on March 22. Any student currently registered in ABC may be in the show. Saturday rehearsals April - June 15. In studio full run through - June 17,18,19. Dress Rehearsal June 21. Shows June 22 & 23. Parent participation is required. Contact the studio at 541-382-4055 for full registration procedures. The Official Wizard of Oz registration. This will be for the full complete package payment. Payment is due at time of registration. Any student currently registered in ABC may be in the show. Saturday rehearsals April 6- June 15. In studio full run through - June 17,18,19. Dress Rehearsal June 21. Shows June 22 & 23. Parent participation is required. Contact the studio at 541-382-4055 for full registration procedures. Little Swans Ballet at ABC gives children the most fanciful experience. Boys and girls who desire and want to dance will love Little Swans Ballet. This class is a delightful start of ballet! Together, we will develop fundamentals of classical dance and creative movement in a lively environment. Leap over imaginary streams, fly over snowcapped mountains, and land lightly on a flower petal in this fun ballet series. Little boys and girls will be dreaming of dancing at the ball! Budding ballet dancers leap with stronger legs and arms each lesson and their confidence rises as they explore freedom of movement. Silver Swans is a RAD class specific for older adults. Whether you want to learn or get back into Ballet, Ms. Valerie can help you no matter your dance experience or age. Great for a weekday workout! Take Modern I/II level on Tuesdays 1:30 - 2:30 AND Leap, Soar Dance! Camp July 15 - 18 9:00 am - 12:30 pm. Save 5% when you bundle! A perfect summer class for those beginning or having only a few years of ballet experience. Dancers will learn and fine tune both basics and techniques, but it's not all work - this class will have some fun too! Dancers will be both challenged and rewarded through this class. Take Discover Tap level I on Wednesdays 3:00 - 3:55 AND Leap, Soar Dance! Camp July 15 - 18 9:00 am - 12:30 pm. Save 5% when you bundle! Take Twinkle Toes Tap on Wednesdays 4:00 - 4:55 AND Cinderella Dance Camp August 1 & 2 9:30 am - 12:00 pm. Save 5% when you bundle! Kids will love to make rhythm sounds with their feet, while parents will appreciate the coordination and ear training tap gives their children. Choreography develops the brain and improves retention skills. A two day class to get a sample of Ballet! Perfect for the dancer wanting to explore ballet, but not quite sure. Learn the basics of ballet including positions, terminology, and the fun of ballet through dances. A great springboard to get ready for our fall classes. Take Modern level III/IV on Thursdays 10:15 - 11:10 AND Teen Dance Intensive July 15 - 18 9:00 am - 12:30 pm. Introduce your child into the wonderful work of dance. Through playful, magical, and imaginative exercises, kids discover the joys of dance and movement while experiencing the tradition of ballet technique. Main Ballet Workshop - Intermediate/Adv. A two day workshop to sharpen your ballet skills and technique! Includes 3 weeks of Vocational/Pre-Professional Ballet and Contemporary and 1 week of Teen Dance Intensive. Includes 6 weeks of Vocational Ballet and Contemporary and 1 week of Teen Dance Intensive. A potporurri of dance styles with a mini show on the last day! Come try out tap, jazz, contemporary, lyrical, ballet, and Russian character dance. Bring a healthy snack and lunch to keep your energy high. Non-stop dancing of every style imaginable! Explore, experiment, and challenge yourself with this assortment of theater arts and dance. Program will end with a production for friends and family. Bring a healthy snack to keep your energy high. Boy and girl dancers will take a fantastic journey throughout the magical kingdom of Cinderella in this themed camp. Join the cast! Kings, queens, spinning wheels, fairies, evil stepsisters, soldiers, and horses needed. Bring a healthy snack to keep the energy high.